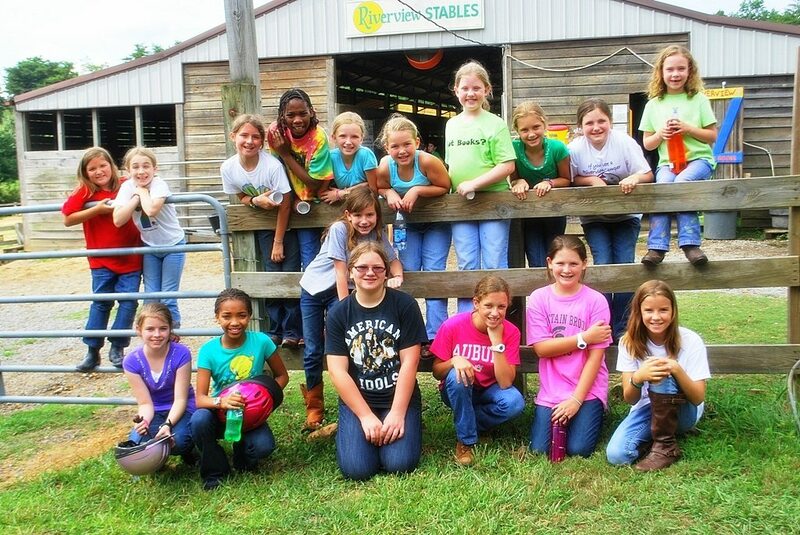 Each riding class is one-hour and you will participate each day! 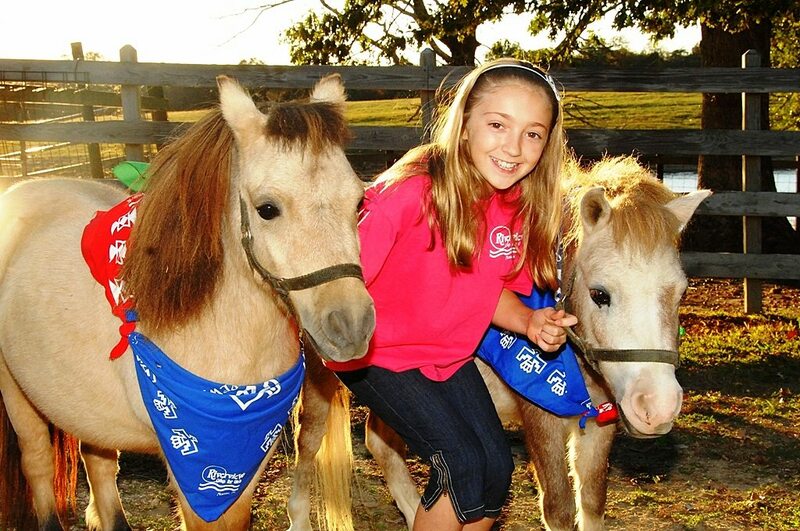 Campers age 13-16 can participate in our CIT program that allows a camper to assist a riding class and learn leadership skills in our equestrian program. 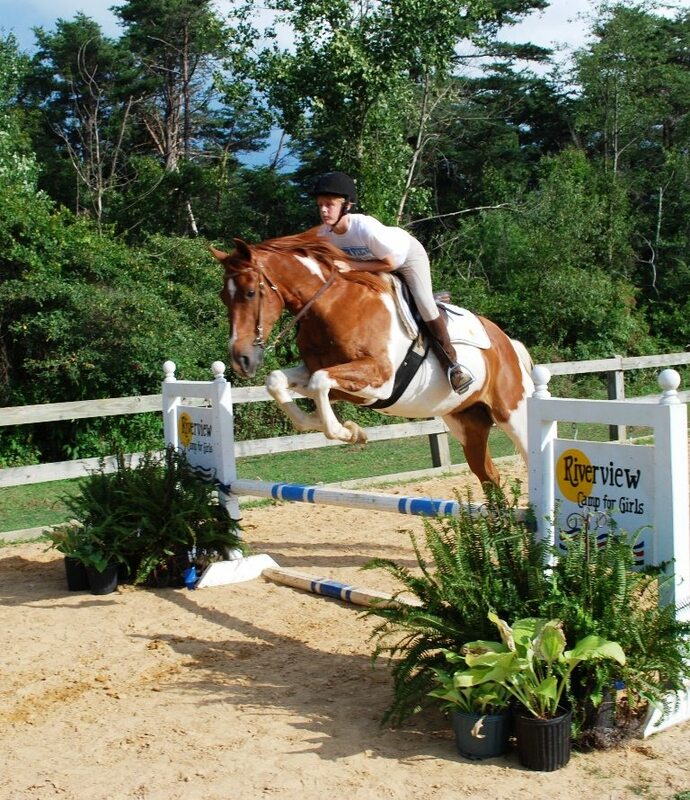 Advanced Equestrian classes are available for the experienced rider. 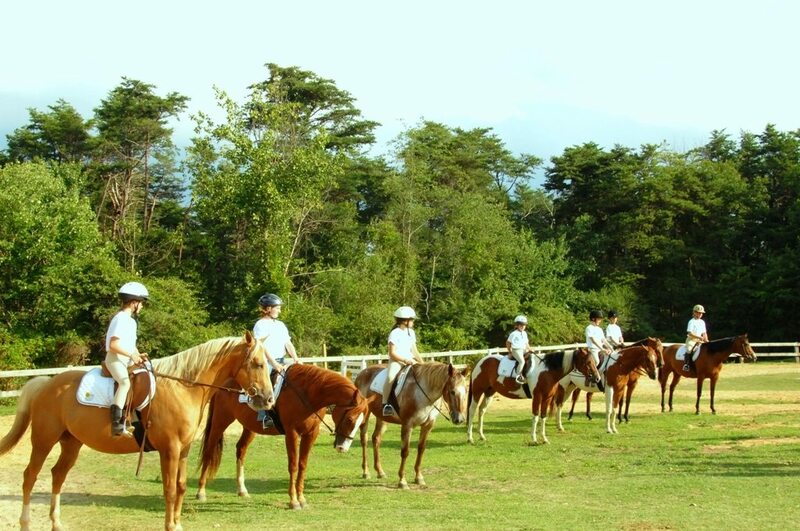 Horse Show and Grand Championship at the end of each Long-term session. 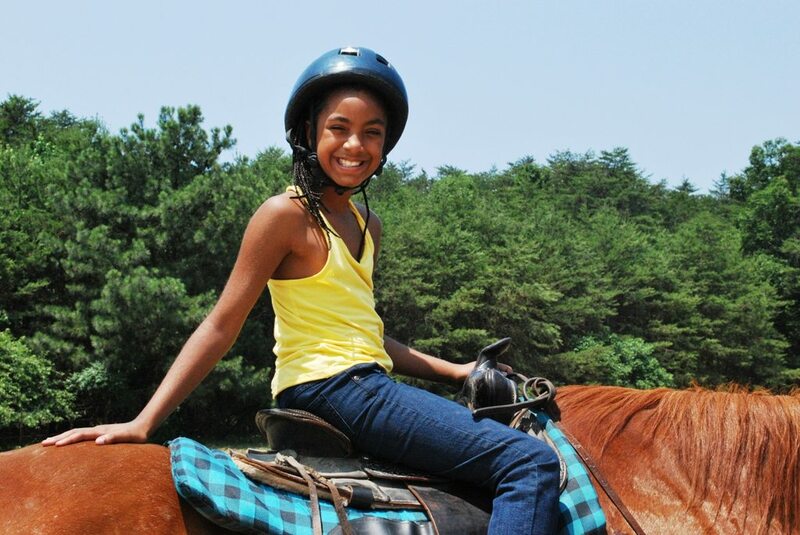 Session M offers both a 3-hour riding program and the one-hour riding program! You choose! Join other campers who often combine Session M and Session 1 for a 3-week stay! No extra fees for riding anytime! 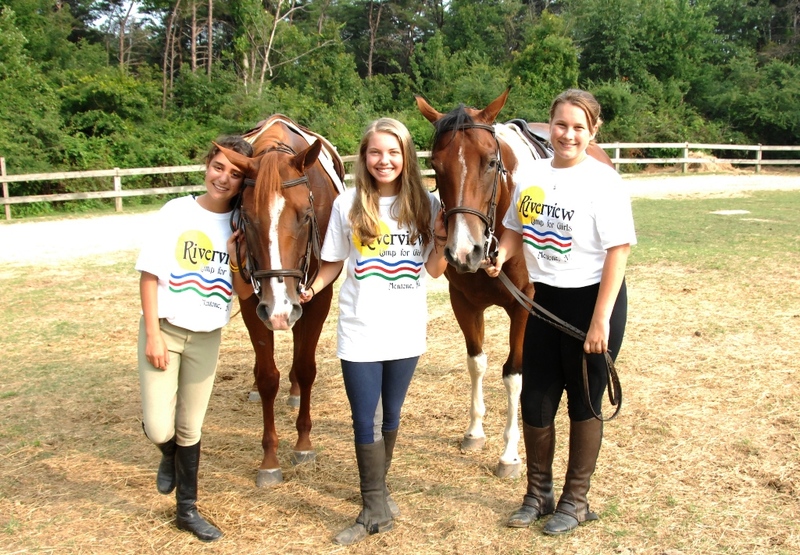 Riverview's stable is one of the finest in the camping community, and our riding program is an exceptional one! As members of Certified Horsemanship Association, we have riding instructors who have earned their instructor certifications through CHA and who are able to provide thorough and careful instruction in horsemanship. We teach English riding classes in walk, trot, canter and jumping in our two oval rings. 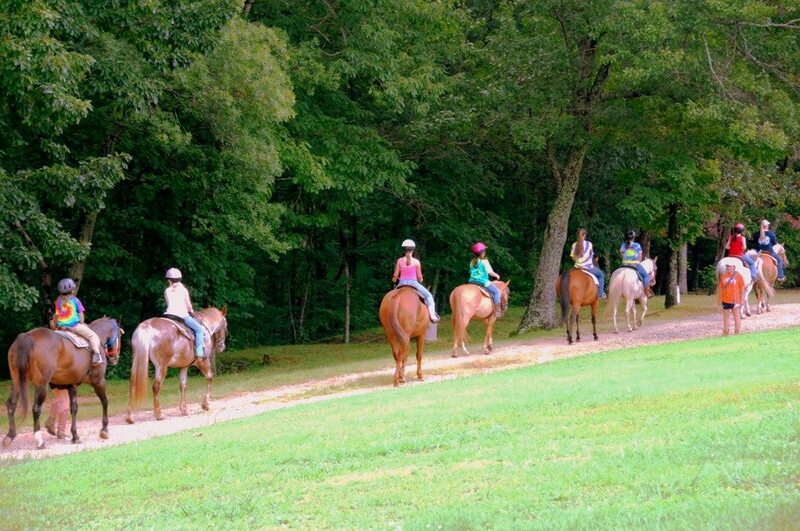 In our riding classes you'll be able to prove your skills soon and saddle up for trail rides. Guide your favorite mount down winding trails, through beautiful forests that boast intricate rock formations and endless varieties of native wild flowers. 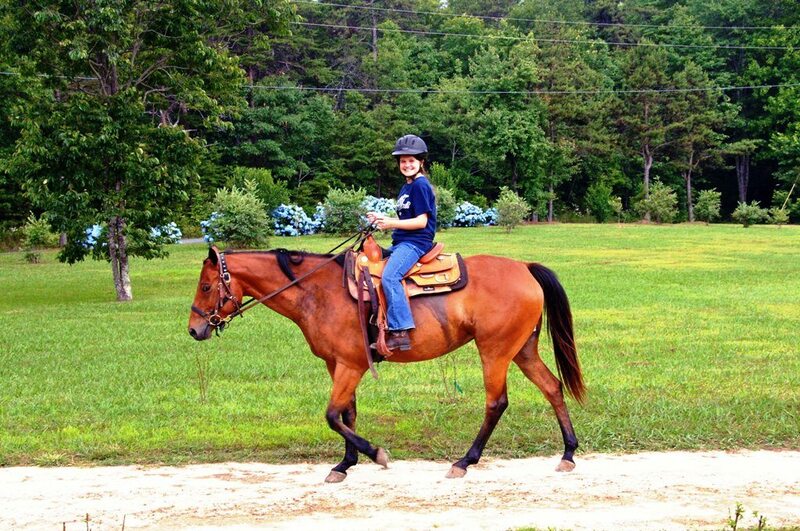 Trail rides are closely supervised with trained instructors riding in front and back or each expedition. Never been on a horse before? 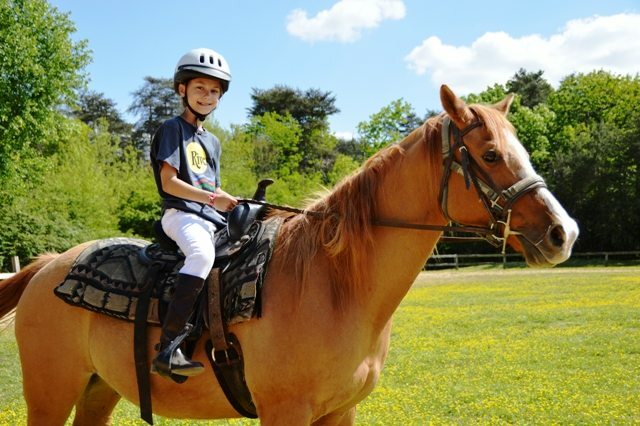 Don't worry, you'll do just fine... We have horses that are perfect for first-time riders! 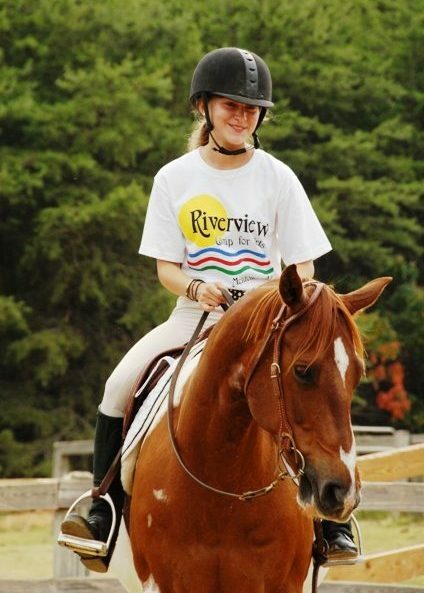 Wanting to learn to jump…when you are ready, experienced Riverview instructors will be there to guide you safely. 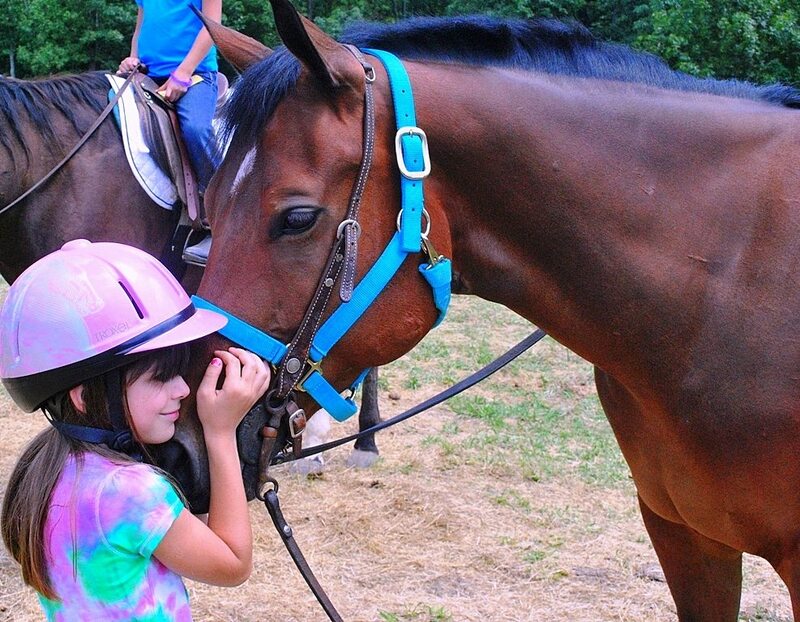 You’ll know our horses by name and will think of them as friends…they return to camp each year too!